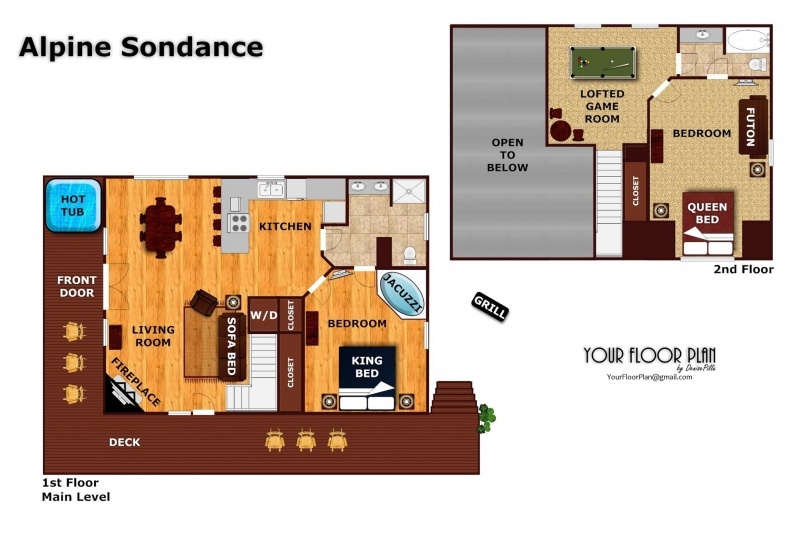 ALPINE SONDANCE HAS IT ALL - location, Amenities, and all the luxuries of home! 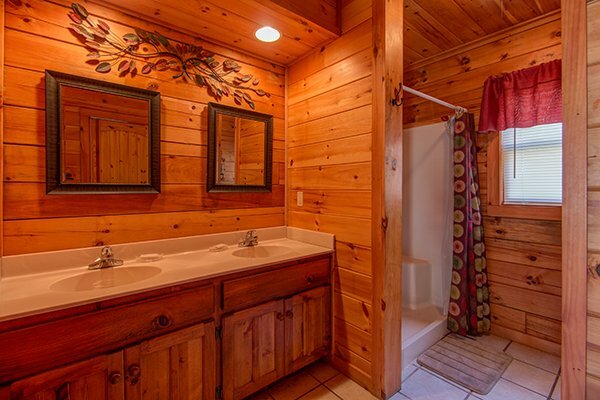 Located in Alpine Mountain Village just off the Parkway in Pigeon Forge, ALPINE SONDANCE is the perfect location for your next getaway. 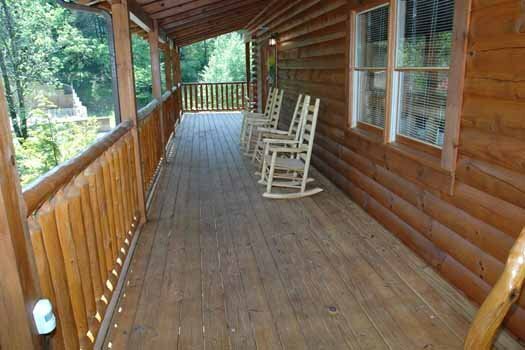 Located adjacent to one of the two community swimming pools, you can keep an eye on your kids while kicking back in a rocking chair on this cabin's log, timber framed, front porch. 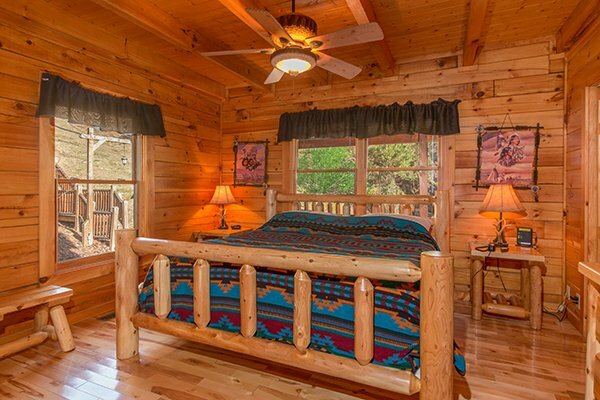 Inside the custom furniture, decor, and lodge atmosphere showcase this true log cabin's quality construction. 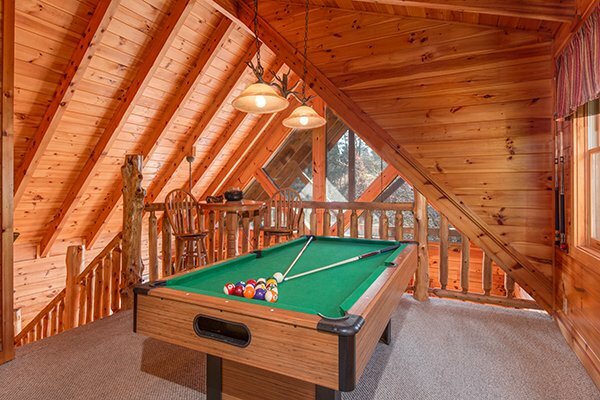 A log framed custom stairwell leads to a lofted game room with pool table. 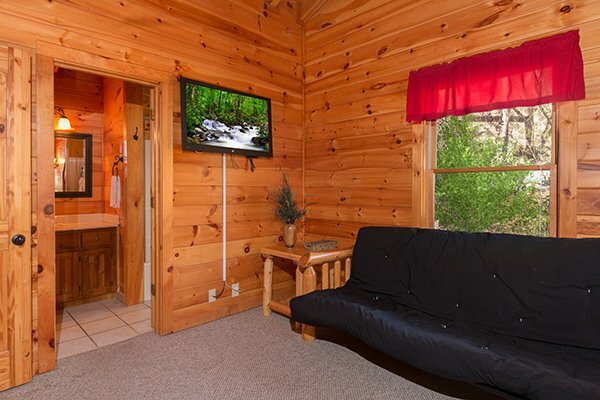 Oversized flat screen TV's in every room provide guests entertainment everywhere you look. 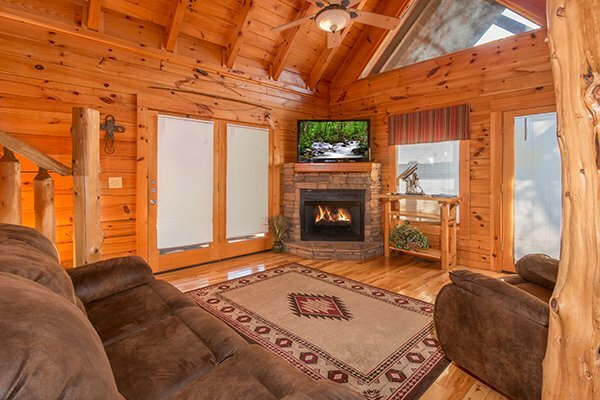 Kick up your feet in front of the stone fireplace and take in a movie with your family, soak away your cares in the outdoor covered hot tub, or shoot some pool and stay in for the night. Go out or stay in? When you're close to the action you don't have to choose - Do both! Call today to book your stay! 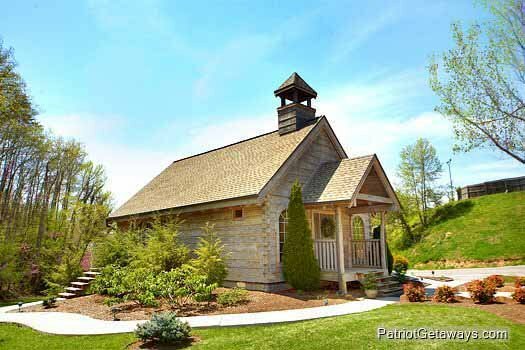 Awesome cabin in great location. Staff was friendly and very professional to deal with! Ive stayed in lots of cabins in this area and am pleased to say Ill certainly be back. We enjoyed our girls getaway vacation for my grandmothers birthday. 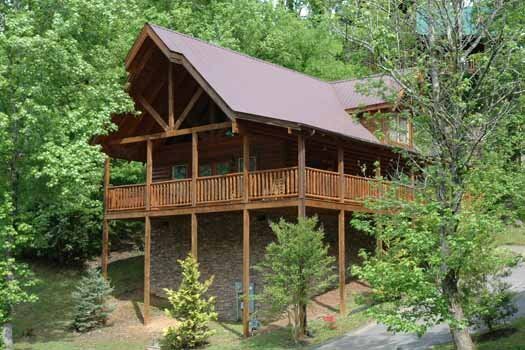 Beautiful cabin and great experience! 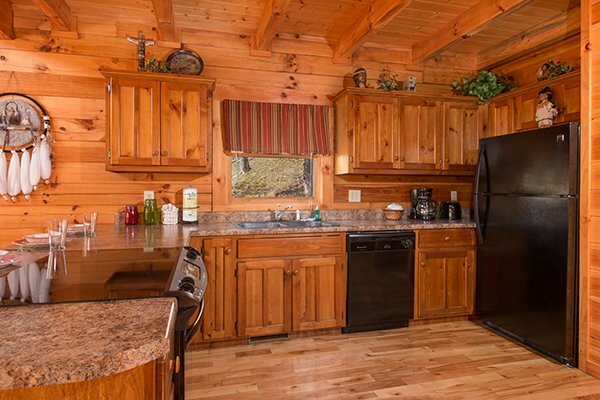 Cabin was clean and stocked with everything needed for a comfortable stay. Fire place had some issues but was quickly resolved by guest services. We will definitely be staying again in the future! My brothers and I had a great time and plan on doing this as a family thing from now on. We enjoyed our stay at alpine sondance! Our 3 boys were extremely happy and had enough room for their own space! 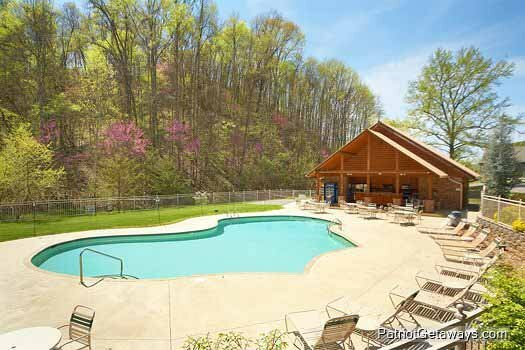 Great value and close to attractions! My husband loved the fact you went that extra mile and decorated for Christmas. That meant a lot to both of us! 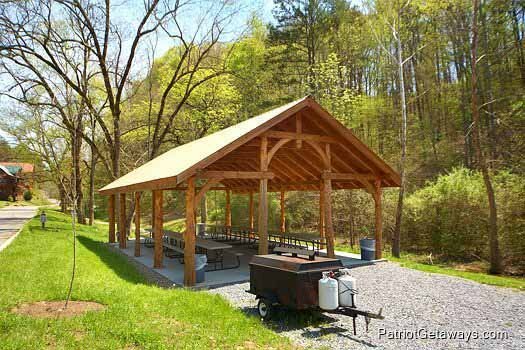 Always have had great experiences while using American Patriot Getaways! We had an excellent experience on this trip. It was our first ever trip to Tennessee, so I'm glad that we had such a beautiful place to call home even if it was just for the weekend! Everyone we encountered in Tennessee was friendly. 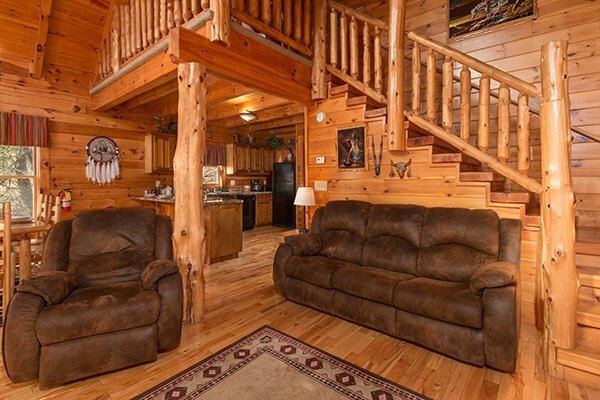 I will highly recommend this cabin and/or any other property owned by American Patriot Getaways. Thank you for a great mini vacation! Everything was perfect! We were very pleased with the cleanliness of the cabin and everything we needed was supplied, we will definately stay again! 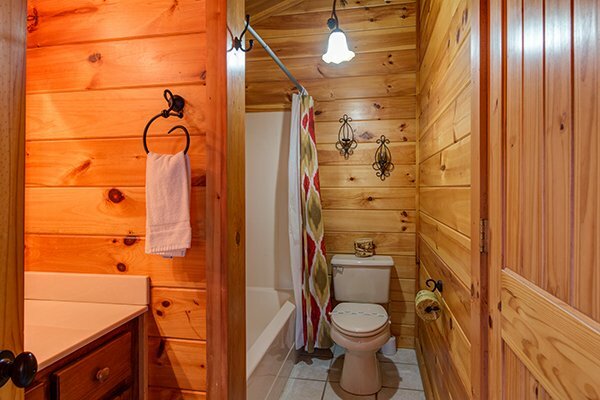 We were very happy with the cabin! It was very nice. 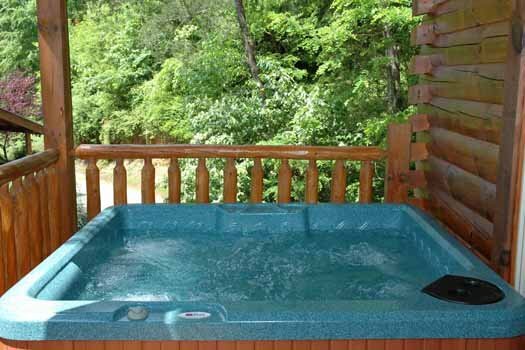 We were only there for two nights but were able to make use of the kitchen for cooking, the whirlpool, the hot tub, the televisions and the billiard table. We LOVED the gas fireplace. The second floor gets warmer than the first floor, so the fireplace helped. 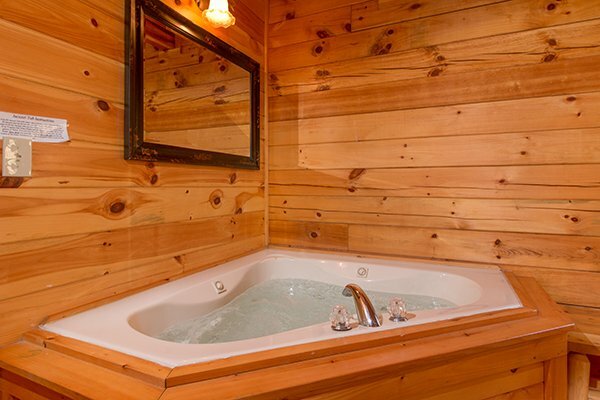 It's a little difficult to step in and out of the hot tub and the whirlpool. It would be good to have salt and pepper on hand in the kitchen. Also, if you switched the refrigerator door handle to theother side, you would be able to use the drawer in the kitchen cabinet, possibly for the silverware that is in the upper cabinet. 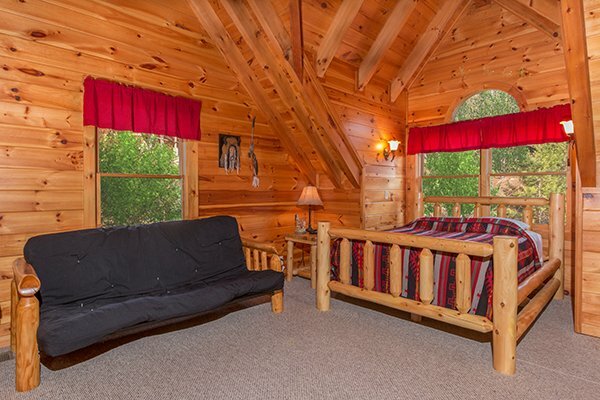 You might furnish this cabin with a board game or cards (we brought our own). 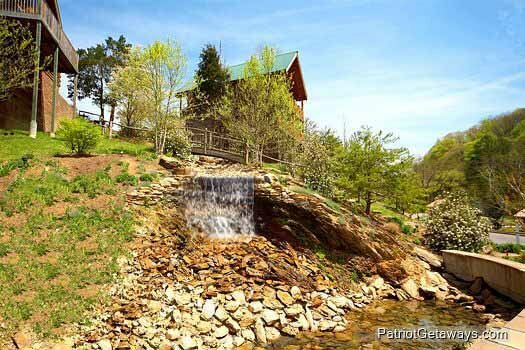 We enjoyed shopping and going to a couple of the attractions in Pigeon Forge/Gatlinburg! This was a great family getaway! Thank you. We had a issue with the hot tub. There was no power going to the unit. We called the office on Saturday morning to report this, and while we were out shopping, someone came by and took care of the problem. Very friendly and efficient staff. 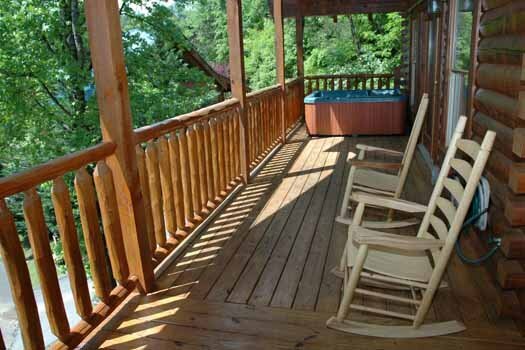 We have stayed with Patriot Getaways numerous times in the past 10 years, and this is why we continue to come back. Thanks for everything!! We have stayed with APG three times now and we LOVE them! 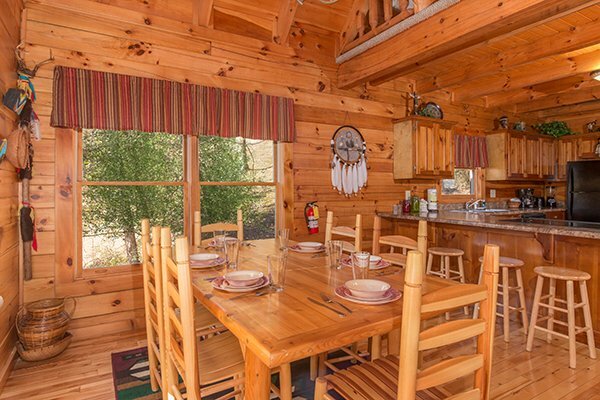 The Cabin we stayed in this time was called Alpine Sondance and was perfect. It was far enough out to be secluded, but close enough to the strip. 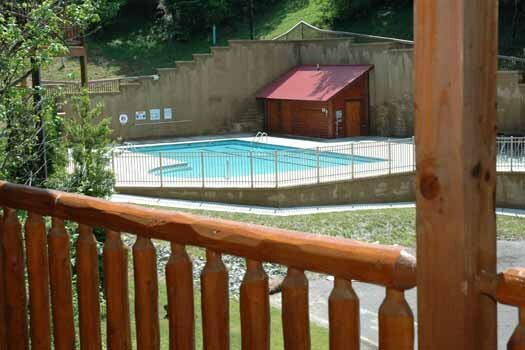 The cabin was beautiful and perfect location, as wecould let the kids go to the pool and watch them without actually going to the pool. 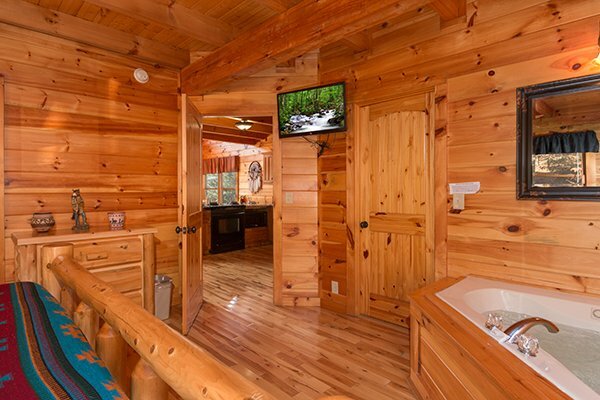 This cabin didn't have Wi-Fi, which would've been a big help, but overall we loved it and would stay again! Enjoyed our stay very much. 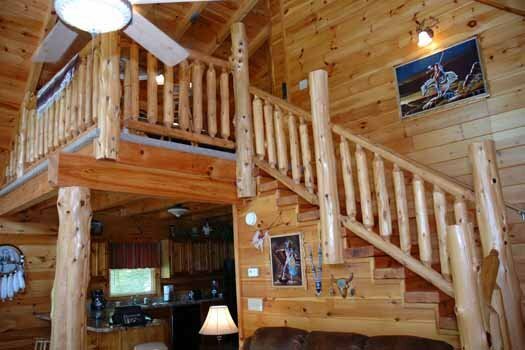 Everything was well taken care of, cabin was very clean. The only thing I had problem with, is I like a little more light in kitchen when I cook. We wanted to stay longer but, had to get back home and go to work.